I have just watched the displayed Chevrolet Sail UVA video and teaser images. The new vehicle by American car maker appears awesome and powerful as well as value for money. 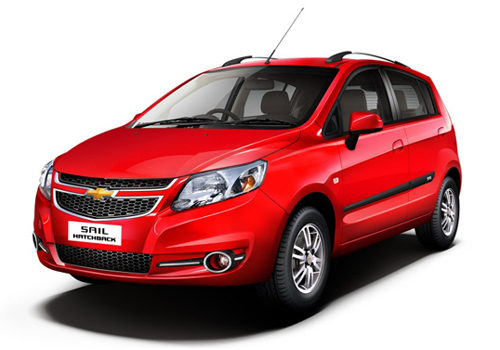 But the Chevrolet Sail UVA price at expected tag of Rs. 4.50 for the base variant is not competitive. If the company launches this new big hatch in six variants its top-end model would go for over Rs. 6.50 lakh than it will not become an affordable small car. For a new product, a competitive price range is ideal to lure customers and make it popular among the enthusiasts. No doubt that Chevrolet Sail UVA features and specs are splendid but other popular big hatchbacks are also offering highly sophisticated features at lower price, than why customers would go for new brand which do not have guarantee of reliability. There are i20, Figo, Swift, Polo, Fabia etc. specious and large hatchback cars offering the same features at competitive price. And at this condition the Sail hatchback do not appear affordable. Coming to power and fuel efficiency, Figo is more powerful and efficient than Sail UVA according disclosed its power and mileage. Hyundai i20 is known for large space and rich features while the Swift is the most reliable, on the other hand Polo and Fabia offer great power as well as reliability. The offered 1.2L petrol and 1.3L engines are average in terms of fuel economy. I know that exact detail of the vehicle will come out after official launch but reviews written by many of users are not in favour of Sail. This car is going to launch tomorrow..